It’s that time of year again! Summer is wrapping up and vacations are coming to an end but retail is just getting started. Back-to-school time for many retailers is just the start of their long holiday season ahead. 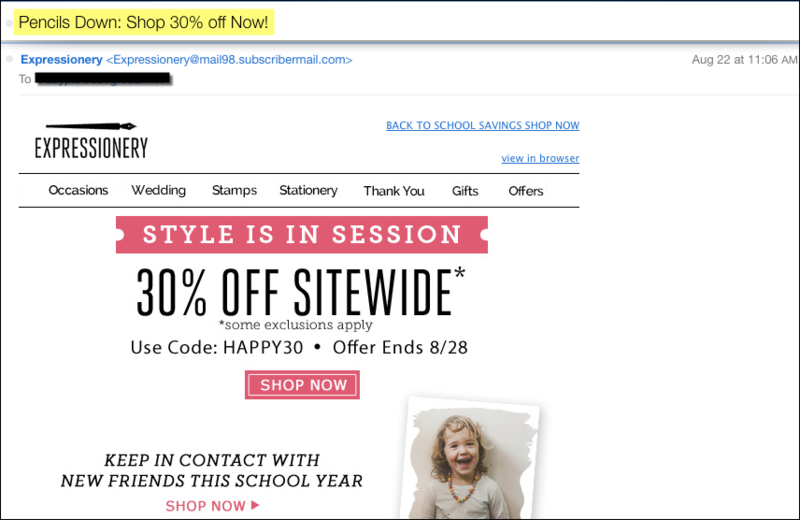 With the extended holiday season and shoppers shopping as early as October, many retailers are using Back-to-School campaigns to test what works and what doesn’t in their email campaigns. In fact, many retailers started as early as August 1st with their Back-to-School campaigns. Why not earlier? Because no one is thinking about school in July, they’re thinking about vacation and they don’t want summer to end. But when August rolls around, you can start to plant the seed with a drip campaign, for example. Here are some examples of email subject lines that are sure to convert. Emails that show a sense of urgency tend to convert. According to behavioral psychologists, urgency tends to propel people into acting quickly and suspend reason, thus convert. 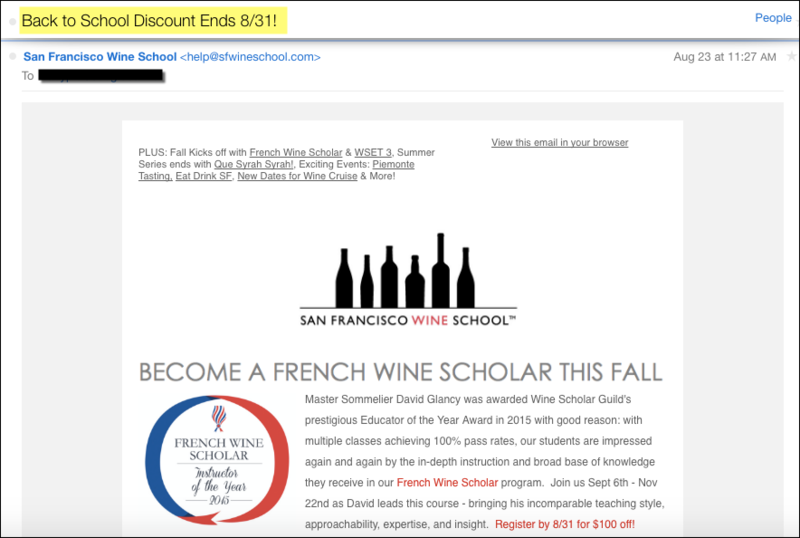 As you can see in the SF Wine School, they sent out an email one week prior to the deadline of their promotion. Relevant messages tend to convert. Every industry and market segment is different and will respond differently to messaging. What might be relevant to some, might not work for others. That’s why we test subject lines. 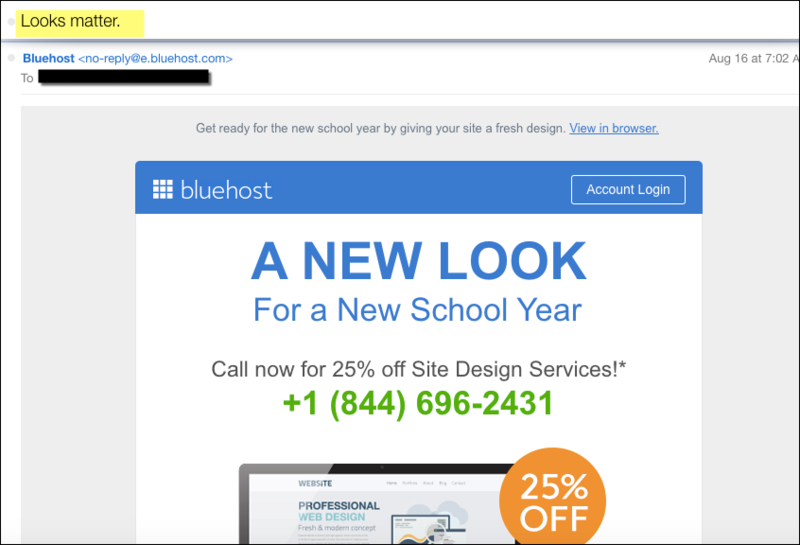 For example, BlueHost cleverly taps into their audience with a relevant message by pimping their web design services and pairing it with a generous discount. Discounts tend to convert because they’re beneficial to the recipient if relevant. For example, Expressionary not only uses “pencils down” as a relevant message but also ties in a discount in the subject line. Do you have a Back-to-School email that you received that stood out? Tell us why in the comments below.